Never been here, knowing nothing about this place, and get no maps! Perfect! I arrived at Changi airport in Singapore at 9am. Early morning, yes, and i have no breakfast yet. First things to do, i need to get into the sky train in Terminal 2. I asked the airport staff for direction but seems like they are not as friendly as i expected. Then like an idiot i just say thanks and walked back while looking at the signs because i didn’t understand what she said in sing-lish (singapore english) style. After getting off from the sky train, i get on MRT (Mass Rapid Transit) to reach the city. People can buy single trip ticket or one day pass for the MRT. In my mind, i really wanna go wild. I tried to buy a single trip ticket, read the instruction in the machine, and thadaa i went blind. I Really have no idea about how to get the tickets. I tried to but its just get more confusing when some people line up behind my back. I cancelled it out, gave up and bough the one day ticket for $10 from the counter :)). The MRT change route at Tanah Merah interchange. If want to go to the city, i have to be in the MRT to Joo Koon station or the green line. Again, the complete and clear signs everywhere in Singapore really helped me out. I drop off at city hall station and ready to explore! But again, thadaa.. i felt blank! i really did. I just have no idea which way to walk to reach Raffles Hotel where i planned to start my city walking tour. An old man pointed my confuseness and help me. 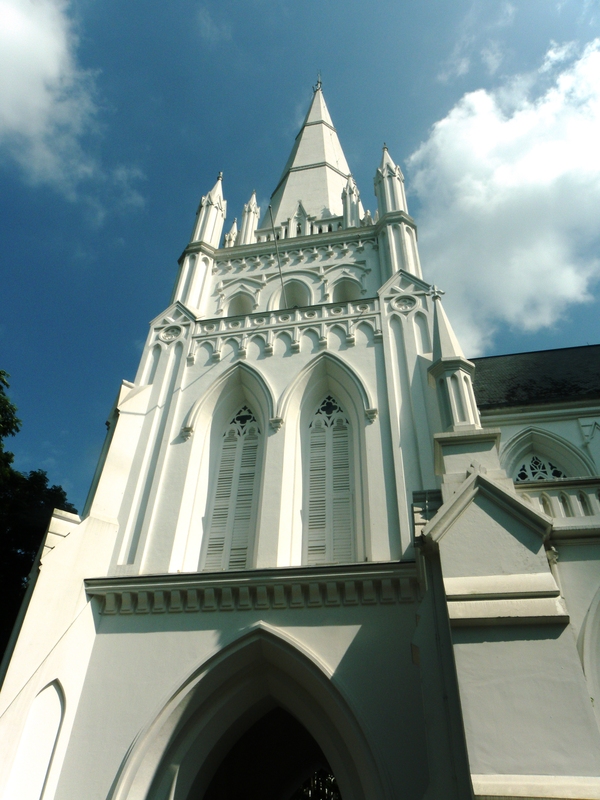 I decided to enjoy the architecture of an old church near city hall MRT station first. Its hot, almost mid day and i was hungry, so i should be hurry and find some restaurant or cafe. A lot of retail store and department store in Singapore. 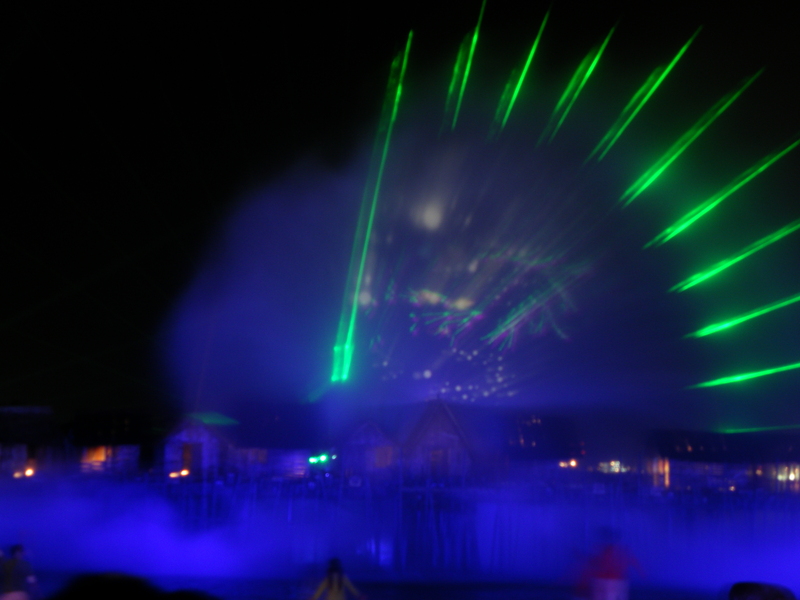 Some are integrated with a hotel . I dont know, may be they notice that most of tourists in Singapore are shoper. While walking, i found a very tall monument which was built in 1942 to remember the victims of Japanese invasion. A little walk and then i found suntec city mall where i saw the largest water fountain in South East Asia (they said so). The show started at 8pm so i just skip it since i had schedule for song of the sea at 7.40pm already. Next is Promenande. I dont know what kind of place is that, i just should arrive there and find Singapore flyer, the giant wheel to see the whole city from above. I should find someone to ask *again*. Well, lately i know that promenade is like a sea side, where people can walk or jog or just enjoy the view. And i am so much love that kind of place. Forgetting my itinerary, forgetting the time, i just sit down and enjoy the wind. So much relieved! 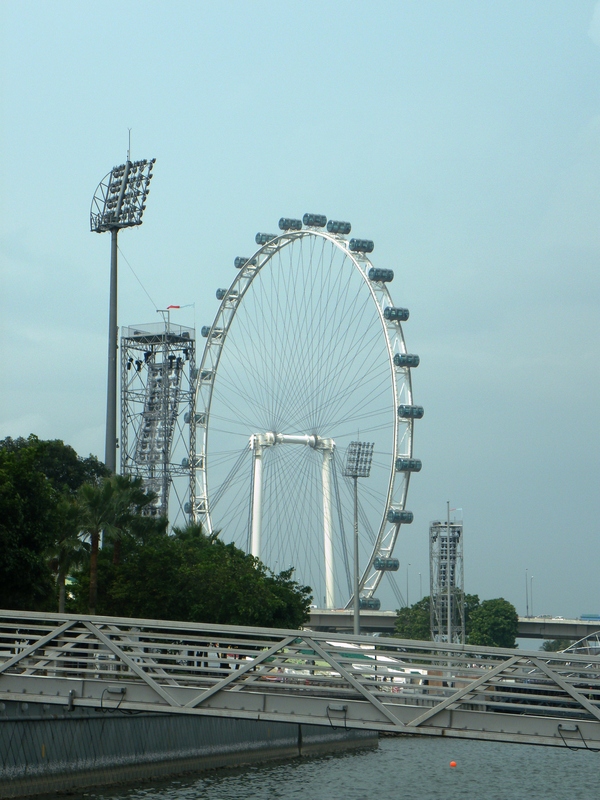 Its quite an effort to find the Singapore Flyer. Really! I asked some policeman and they even did not know about it. I am not sure, may be they just did not speak english or anything, but yeah, it took a long walk for me to get there. Once i was about to give up, thadaa.. i can see it. Far away, i can see the giant wheel, next to the lovely shape of Marina Bay hotel which looks like a plane put at the top of three giant sticks. People should not stay at that hotel to enjoy that view.They can just buy a drink and enjoy the rooftop. But seems like to swim there would be quite an experience anyway. I get in the giant wheel with a western couple, an Indian family, and one Indonesian fams. 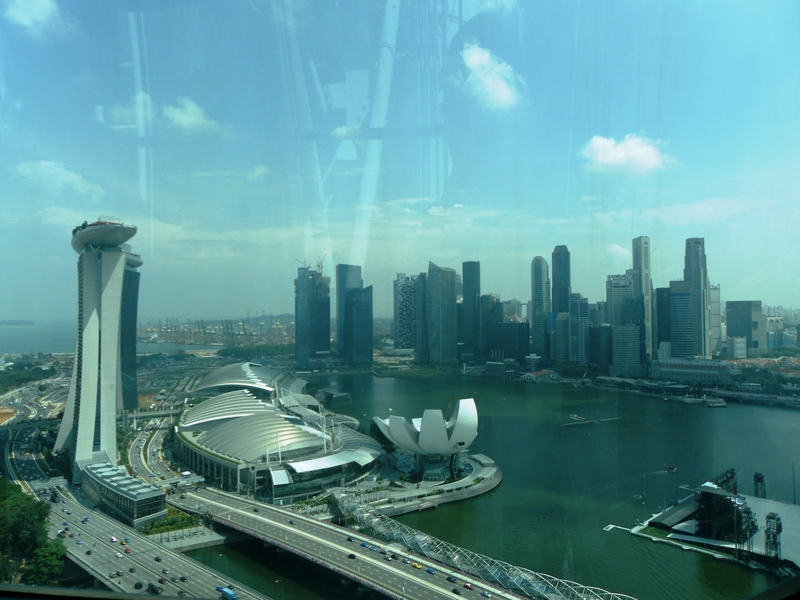 Well, from above, anything looks so tiny and i can see the Merlion! Thats my next destination anyway. 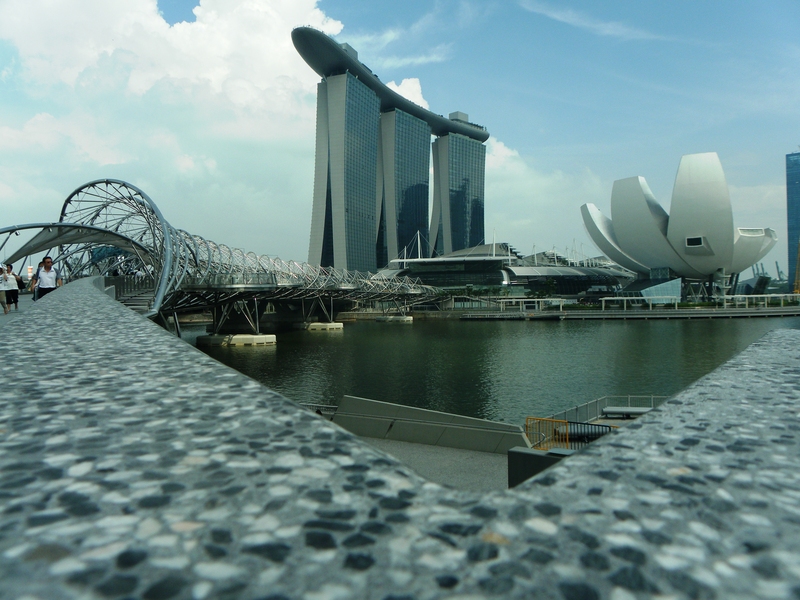 Next to it is Esplanade which looks like a giant durian. Its originally a theater hall. From above, Singapore looks so tiny and crowded. 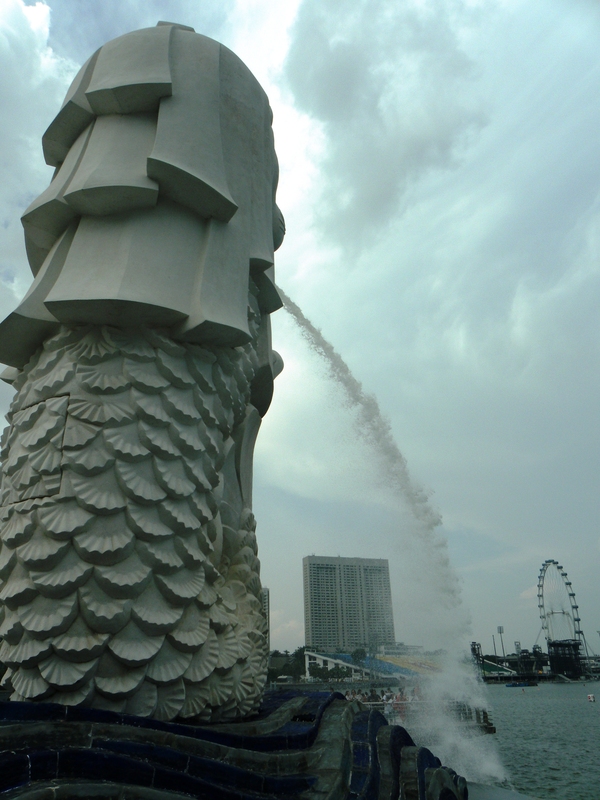 I felt so relieved when i saw the Merlion statue in front of me. 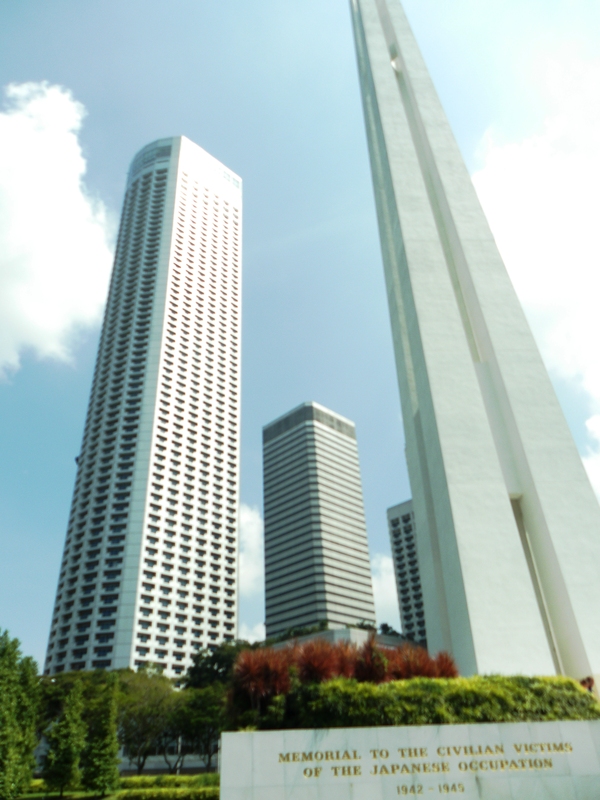 It is the symbol of Singapore, and the renovation is done. There is a recommended ice cream stall near the stairs to Merlion statue. Its yummy, and only one buck! And next stop, is the shopping center, Orchard Road. This month is the season of Singapore great sale. But in my point of view, its not very much a super sale. The discount mostly less than 50%.Some stuff that i like even sold in normal price :(. I should find the MRT again to get to Musthofa center, or little india, to pray. I read on the map that there are some mosque in that location. Musthofa center is the nearest one. But to be at the station near Merlion, it really was another effort. A very long walk and i am tired already. There also several bus to reach that place but to wait for the right bus would kill more time i had less. Getting off in Fa rrer Park station and then a little walk to Musthofa Center, it felt like i am in India already. The atmosphere and the people, its all different. Singapore is like being thrown out into the outer space. 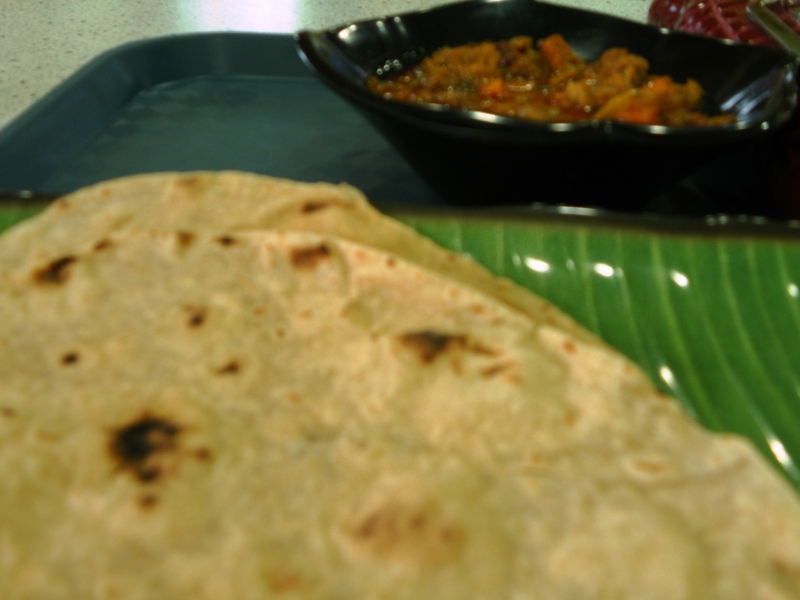 I eat some Indian food here with more expensive price compared to what i had in Malaysia. But the taste quite good. Suddenly i woken up by the fact that my Song of the Sea show start at 7.40pm. I thought its 8.40pm at first. Its 5pm already, i should catch the MRT to sentosa island soon and change my receipt for ticket. Finally i did late. Thanks to my premium ticket that i bought online, i can get in even the show already started and the door already closed. The story is about a fish named Oscar, the tiger fish who is helping the queen with his great voice. Together with his friend Oscar sing for the queen and kill the curse. Around 9pm i can be relax, i wanted to eat but did not found the best place to hang. So i just headed to MRT station, going to Kranji Station where i can continue my journey to Malaysian territory. Well, a lot of bus available here, we can choose based on departure terminal and price. I got a good one. 30RM for bus with air conditioner, and i can stop at puduraya station in Kuala Lumpur. There was also another choice with direct bus from Singapore to Kuala Lumpur, but its not available until late at night and its a little more expensive than the one from Johor Baru.